Ocean, sun, sand and sandcastles! Summer is almost here! Are your children(and you) excited for the hot season? 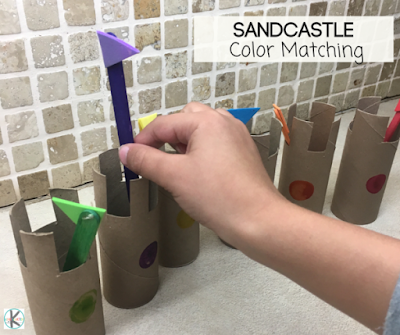 Get in the mood with this fun color matching sandcastle activity using cardboard rolls! This activity is perfect for young kids to practice color matching skills (in fact it is great for practicing visual discrimination, a skill needed for reading and math too). It also develops hand-eye coordination and fine motor skills! I used 6 colors and one flag for each “sandcastle”, but you can add as many flags and colors you like! Also, you do not need to have the same size sandcastles; you can change it up for variety. Cut the cardboard rolls so that they resemble sandcastles. Paint or draw a colored mark on each sandcastles. Cut the triangles for the flags and then attach it to the craft sticks. That is it! Now it is time to play and learn! Ask you child/student to add the correct color flag to the corresponding color sandcastle. This process in itself is a lot of fun for kids! 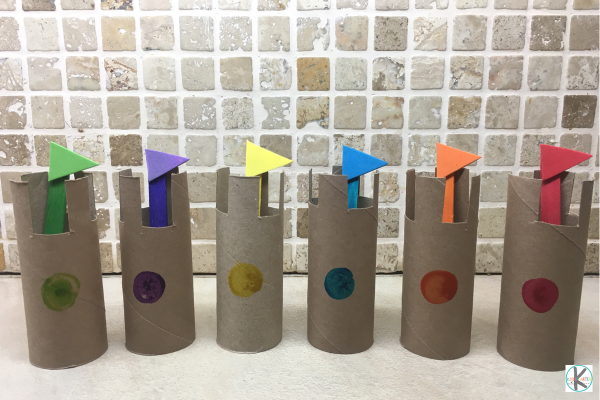 There are lots of activities you can do with this build your own castle! You can build with these toilet paper rolls like you would build with block. 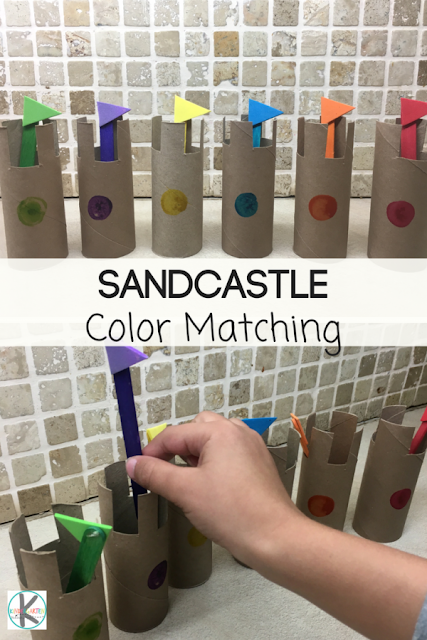 Or, you can replace the colors on the sandcastles with numbers or letters and add numbers or letters to the flags for fun number or letter matching! 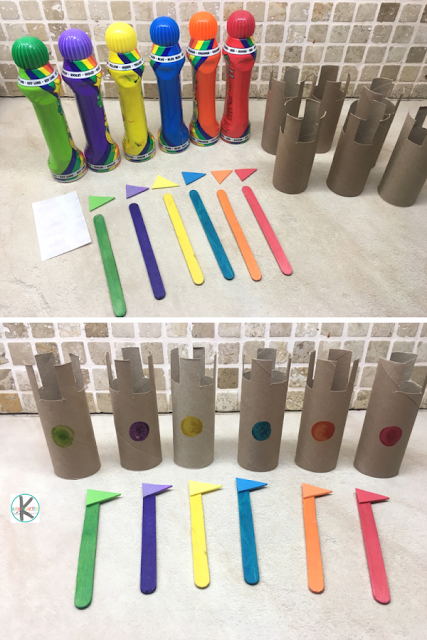 This is such a fun summer themed color matching activity to kick off Summer learning!